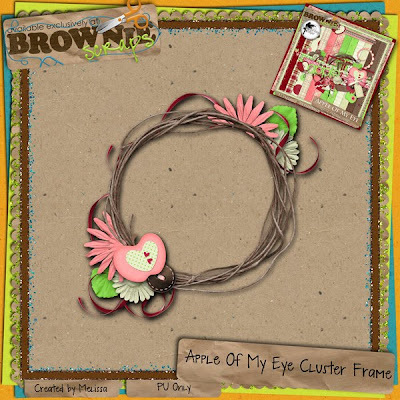 FlutterbyeFaery Designs: Apple of My Eye Cluster Frame Freebie! Apple of My Eye Cluster Frame Freebie! Hi Ya'll! It's Faery Sprite Melissa and I'm sneaking in on Evie's blog to give ya'll a cluster frame that I made using Evie's kit Apple of My Eye. I love all the elements in this kit and the colors are so much fun! You can grab the frame here. And stay tuned...Evie has a new kit coming out this week!